Is It Too Late To Start Blogging Now? 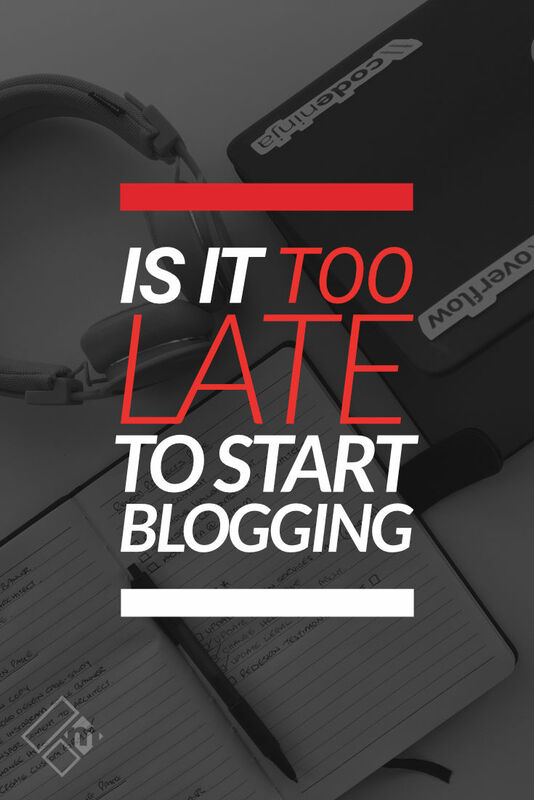 The short answer to that question is… No, however, in most people’s cases, yes it is too late to start a blog, and I’ll explain why shortly. When I started my blog back in 2010, I actually thought that I was turning up at the blogging party too late. The idea to start a blog of my own actually came into my head way back in 2008, but I was so unsure about it all, plus I was already busy running an e-commerce website. Throw in the fact that I knew nothing about blogging, or how to get started even, let alone build a business from it. There’s a lot of mixed thoughts about starting a blog today especially when so many blogs already exist. How many blogs currently exist exactly? Well, according to MediaKix, there are an estimated 440 million blogs in existence across all the major blogging platforms. And how many blog posts do you think are created each day? Just check out WorldOMeters to find out for yourself. It’s quite shocking. So, there’s already tons of blogs out there and tons of blog posts being created every single day to compete with. What is the point of just creating another blog then? It’s very hard, in fact. So darn hard that in 2018 alone, 99% of blogs will likely to fail. Growing an audience that cares to listen to what you have to say is hard and takes time. Earning an income from blogging is hard and takes time too. If you’re thinking about starting a blog just to add to the noise that’s already there, then you’re too late for that party I’m afraid. There are plenty of blogs in existence all singing and dancing to the same chorus as the next darn blog. No one wants to read another mediocre “blogging tips” or “How to make money online” blog, trust me when I say this. If you’re thinking of starting a blog because you genuinely have something to say that’s actually worth paying attention to, then you’re never too late to start blogging. You see, rarely will blogging gurus and so-called blogging experts will write about the failures and hardship of blogging, and how blogging can be tough and that your chances of success are going to be pretty slim. Well, sadly because most bloggers who preach about blogging today will want you to believe that blogging works and that’s it. Even if it’s yet to work for them. 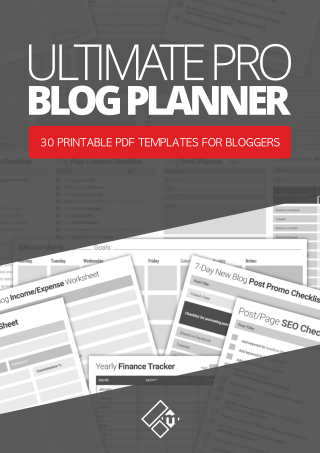 They’ll want you to buy into their affiliate deals and special offers, or even subscribe to their amazing freebie offers all so that you can get set up and start your blog immediately. If you fail, then tough! That’s your problem if you didn’t read their disclaimers properly. Now, I’m not saying that all blogs or bloggers in the “blogging niche” work this way. There are plenty of credible blogs and bloggers that can teach you how to blog properly and address the failures as much as the successes. You just have to find them. So, do people still read blogs today? Yes, absolutely, however, blogging is now so diversified because people consume blog content in so many different ways. We live in a fast-paced world where mobile internet browsing for online content consumption dominates. Blog articles are no longer crafted using plain old boring linear content. No one has the time to read plain linear content anyway. There’s much more of an art to crafting blog content today. Study informative infographics and other interesting visuals. Engage with offsite content, such as social content, and more. If you’re thinking about starting a blog, seriously thinking about it, you just need to bear in mind that this is 2018 and not 2008. What’s the point of adding another blog to the blogosphere? Because you have something unique to share/teach/showcase/present. Start a blog because you have something valuable to share with the world at large. Something that’s not already been rehashed or written about a million times over. Something that will help you to stand out in the noisy crowd. And remember that blogging is no longer just about “writing content” that matters, it’s about “creating content using all mediums“. You can’t just sit behind your little laptop banging out 2,000-word blog posts and hope that someday people will take notice or even have the time to read it. You have to find other creative ways to repurpose and distribute that awesome content of yours. And, by doing just that, you’ll find that your blog will grow in popularity much faster. If you’re ready to start your blog, then check out the list of things you need to do to get started below. 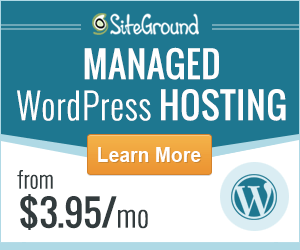 For this, I use and recommend SiteGround. I have been using SiteGround since 2015 and have enjoyed a very robust and secure service with exceptional customer support over the years. If you need help with installing WordPress into your SiteGround account, check out this tutorial video I created below. The video is a good few years old now, however, the process hasn’t changed much really. I’ve used many WordPress themes in my time, both free and paid for. And out of those many themes, only a few stood out the most for me. 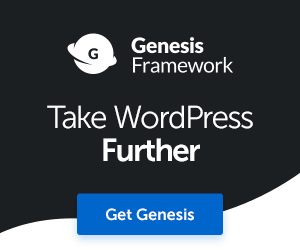 I would recommend checking out Thrive Themes or the Genesis theme framework which I’m currently using on Magnet4Blogging Media. Both these companies create high-quality mobile responsive themes with web standard code markup and Schema built in. You can check out my comparison post of Thrive Themes and Genesis here. For a brand new blog, I always recommend installing only the essential plugins, and then you can add more to increase functionality later on. WP Super Cache for optimizing page loading speed for your blog. XML SiteMaps for site health and SEO. Social Warfare for sharing content on social media. Thrive Leads for building your email list. OK, so that is it, essentially that’s all you need to make a positive start on your blog. 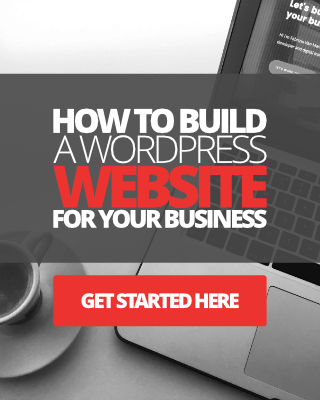 If you would like a more thorough and detailed guide, I recommend you check out my free WordPress setup guide. Remember, start a blog that matters and one that offers something completely unique, not one that looks and sounds the same as everyone else’s. So, now you know. It’s too late if you want to start a “Me too” blog, but never too late if you want to start a “Unique blog” with “Unique content”. And please understand what I mean by a “me too” blog, one that looks and sounds like every other blog in the blogosphere. Psst, remember I’m here to help you any way I can, so don’t be shy, leave me a comment below or send me an email, or check out my services page. Hi Fabrizio, thank you for the valuable information you shared in this post. I’ve wanted to start a blog but were unsure if I could really make a mark in blogging. l completely agree. It’s never to late to start blogging or doing something you really enjoy, the only thing now is it’s much more competitive.